Even now in 2008, I still occasionally get giddy and excited about heading down to a "record store" (archaic term I know) to pick up a highly anticipated new release. I do go digital for a good chunk of my musical addictions, though every once in a while I still embrace the visceral thrill of actually picking up something tangible and waiting with anticipation to open it up and have a listen when I get back home. The delayed gratification is part of the experience, harking back to the days many moons ago when as an adolescent I would make my regular sojourn into downtown Toronto to pick up a highly anticipated release from my favourite record shops, usually an import that I was waiting for with bated breath. Even long after mainstream shops stop selling tangible music (very soon I am afraid) I will still seek out those stubborn little independent shops that will continue to cater to folks like me in this new little niche market, where the experience of an album is more than just about listening. Today's journey was about the new Portishead album "Third". I took a morning coffee break and went to the mediocre music shop near where I work and picked it up. I then went back to my office, ripped it into my laptop and had a great soundtrack for the rest of my day. It is a dense, slightly eerie and complex record that seeps into your subconscious gradually, more suited for late night listening than mid-day work soundtrack, though enjoyable nonetheless. I am impressed how the band has tried to defy expectations and have made something bold and unique on their own terms. A few clicks to get your music instantly is great, though I still think I would like to enjoy the physical adventure of actually seeking out a new or old musical gem once in a while. 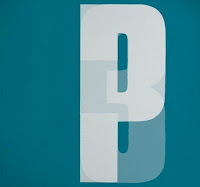 In the case of the new Portishead album it was definitely worthwhile, as it became a small quest resulting in some great music to elevate my day into something a little out of the ordinary.